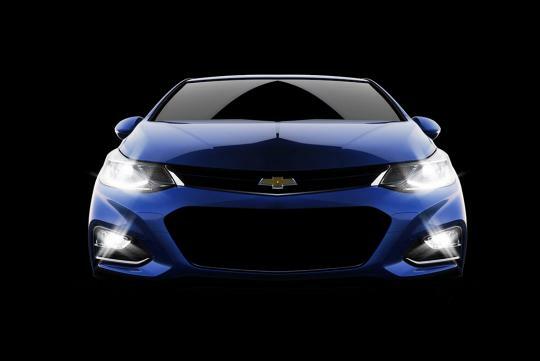 If there was any question about which car-buying age the 2016 Chevorlet Cruze will target when it's shown this week, then the answer is all in one communication from the Chevy PR team. 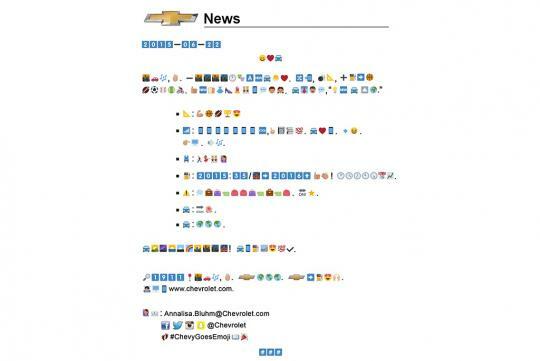 Words alone can’t describe the new 2016 Chevrolet Cruze, so to celebrate its upcoming reveal, the media advisory is being issued in emoji, the small emotionally expressive digital images and icons in electronic communication. Try and decode this news or watch for the decoder at on Tuesday. Unfortunately for you readers, I am not good at this so its up to you guys to decode it! UPDATE: Here's the answer to the emoji message!